When people talk about thought leadership in business, it’s usually with some sort of public relations slant. The term itself has become a catchall that people often use to label a variety of promotional efforts—including strategic PR. And while thought leadership certainly has its place in that side of the house, it also can work really well as a marketing tool. In marketing, we focus much of our time around gaining exposure, attracting new customers, and providing resources to existing customers. Thought leadership (or people-powered marketing, as some like to call it) can cross all these goals off your list. Here’s how. 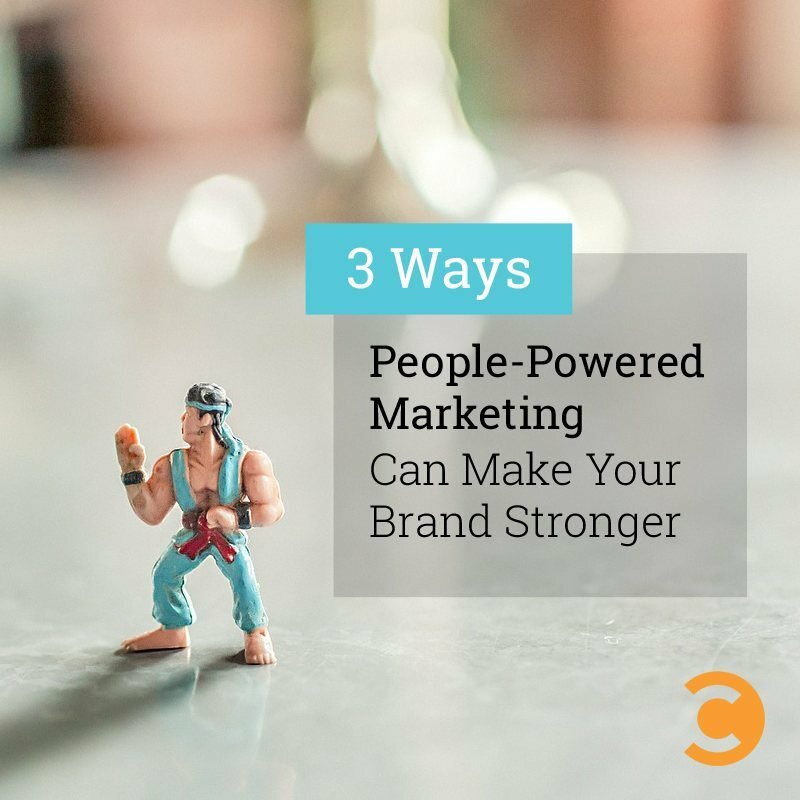 If you properly engage in people-powered marketing, you’ll end up showcasing individuals within your company as opposed to the company as a whole . For the sake of an example, let’s use your CFO. You can secure contributed articles for him on other websites, ask him to contribute to the blog on your own website, or offer him as a resource to journalists and bloggers that cover topics about which he is knowledgeable. Assuming you’re successful with your communication, your CFO will begin to gain a personal following. By making individual team members the focal point, prospects and customers see more (literal) faces to your company. Instead of being “XYZ Software Company,” you’re the software company that technology expert John Doe leads. It’s also human nature to want to form relationships. If you give prospective (and current) customers a person they feel they can interact with, their tendency will be to be connected. Even if your audience never meets your resident tech expert face to face, they can admire, learn from, and desire to work with him just by seeing his thought leadership. This elevates your brand from being a nameless, faceless business to being viewed as an esteemed, trusted friend. If your brand touts itself as being the specialists in Web development, that’s great. You likely have succeeded in your marketing campaigns that position you this way, and you probably get enviable traffic to your website. But what happens if you also want to become known outside this obvious sphere of influence? For example, you are known for your development, but what about the great culture you create within the company, or your unique approach to managing employees? Do people know? People-powered marketing can help you get outside your traditional box. If you have leaders or employees within your company who are experts in additional areas, get busy showcasing them. Your account executive who is also well-versed in human resources could be positioned as the authority on internal business matters. Land him some articles in HR-related publications, or have him speak at local association meetings. Suddenly, your company’s name is exposed to a whole new cache of people. By highlighting individuals on your team who have broader expertise, you can penetrate more publications and get (indirect) exposure for your brand among a mass of previously untapped prospects. Thought leadership, by and large, is about cementing your team members as experts in the eyes of customers, partners, and competitors. The more people at your organization who are called upon as authorities in a variety of areas, the more your whole company will be seen as prominent, relevant, and credible. And while it’s probably obvious, the sheer number of potential buyers your brand is exposed to will surge exponentially by having your people (and consequently your business name) out in public in increasing numbers. Credibility, exposure, and attracting new customers are just a few of the results that stand to be gained when you move your brand’s looming head aside and let your team members take a little of the spotlight. As we all know, it’s the parts—not just their sum—that can make all the difference.